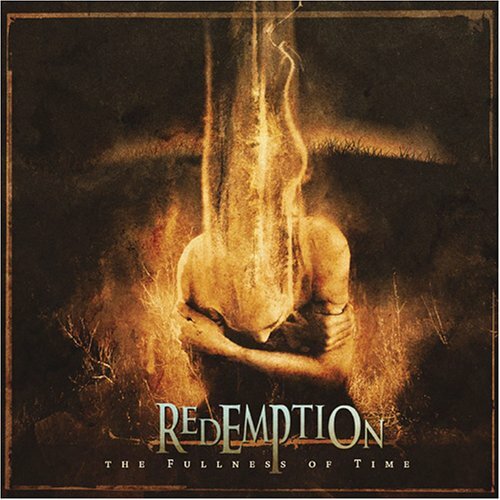 "The Fullness of Time" is the 2nd full-length studio album by US progressive metal act Redemption. The album was released through Sensory Records in June 2005. Redemption started out as the brainchild of main composer/guitarist/keyboardist Nick van Dyk and the debut album "Redemption (2002)" sounded like a project more than a real band effort IMO. There were lots of prominent guest appearences on that album like Ray Alder from Fates Warning on vocals (who sang lead vocals on one song) and Jason Rullo from Symphony X on drums. It´s not an album that impressed me much, so I approached "The Fullness of Time" with some caution. As it turns out my fears were unfounded. "The Fullness of Time" sounds much more like a band effort compared to it´s predecessor and is overall a much stronger release. Ray Alder is now a full-time member of the band and lead guitarist Bernie Versailles (Agent Steel, Engine, Fates Warning) has also opted to become a full-time member. New members of Redemption are drummer Chris Quirarte (Prymary, Roswell Six) and bassist James Sherwood (Prymary). The music on the album is progressive metal. It´s rather traditional with heavy guitar riffs, keyboards, a tight and technically skilled rhythm section, and a skillful vocalist with a strong voice. There are influences in the music from acts like Dream Theater, Fates Warning (...well it´s hard not to sound like them when you share lead singer) and Symphony X (only when the piano kicks in. But when it does there´s an audible similarity). So far... so good. Nothing out of the ordinary there. What is out of the ordinary on "The Fullness of Time", is that the compositions are of an extremely high compositional quality for the genre and the musicians are some of the more skillful players in that genre too. The development that´s taken place since "Redemption (2002)" is impressive. Many progressive metal acts tend to overuse keyboards, but the use of keyboards on "The Fullness of Time" is very tasteful and helps create the hauntingly beautiful and at times desperate dark atmosphere on the album. The guitar riffs are heavy and powerful but cleverly played and sophisticated when that is called for. The choice of Ray Alder as the lead vocalist in Redemption could have been a dangerous one (comparisons to Fates Warning will forever cling to Redemption), but his performance here is so strong that any critique of the choice of him as the lead vocalist will be hard to justify. The new rhythm section is also a great new asset to the band. Drummer Chris Quirarte shines throughout the album and a comparison to Mike Portnoy (Dream Theater, Transatlantic, OSI...etc.) is not far from the truth. There are 8 tracks on the 57:28 minutes long album. The first 4 tracks are individual tracks but the last 4 tracks ("The Fullness of Time Suite") seque into each other and form a concept. As mentioned above all tracks are of a high musical, lyrical and compositional standard. "Parker´s Eyes" with it´s TV-reporter samples from the September 11th terrorist attack is for example a stunning goose bump inducing piece. The sound production by prolific Danish producer Tommy Hansen (who used to be a musician himself and play with The Old Man & The Sea) is professional, powerful and clear. A very suiting sound for the music on this album. Overall "The Fullness of Time" is a top notch progressive metal release and a 4.5 star (90%) rating is deserved.